Lyme Loonies is partnering up with Inanna House! 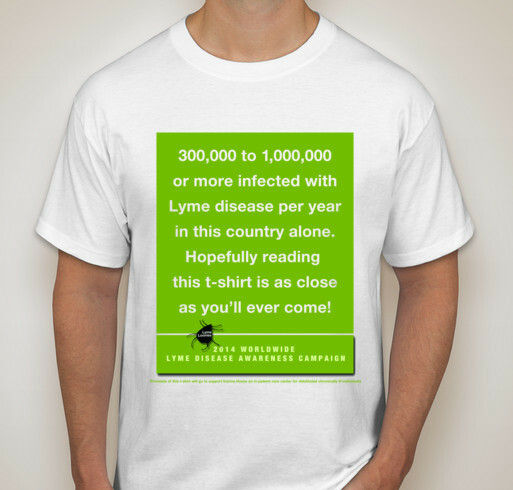 Wear these shirts during the 2014 Lyme Disease Awareness Month of May to help educate others and show that there is a need for change. We ask for: Recognition, Treatment, Research, Prevention, Advocacy and A Chance to Heal! Inanna House will be an in-patient, holistic healing and treatment center for people suffering from the debilitating effects of Chronic Lyme Disease (CLD) and other Tick-Borne Diseases. The vision of Inanna House is to create a new paradigm of healing which encompasses treating the whole person - including physical, emotional, spiritual, mental and energetic aspects. The organization is currently seeking to raise funds to build their pilot center in Northern California. Payment for treatment will be based on a sliding-scale structure as costs can be prohibitive for many patients. Lyme Loonies is a series of cartoons created by David Skidmore that brings to light the issues faced by many Lyme patients. His cartoons are meant to make people laugh and think at the same time. Life is either a comedy or a tragedy, Lyme Loonies is a little bit of both. 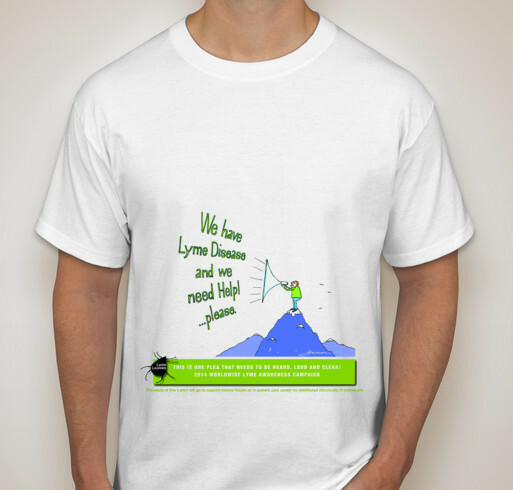 Wear these shirts during the month of May, Lyme Walks, Lyme Rallies, to the store, picking up your children from school, wherever you see fit. These shirts say to others that people with Lyme Disease are suffering, and need to be recognized and heard. Together we are strong! Join us in supporting Inanna House and making change happen. Help Us Reach Our Goal of Selling 100 of Each Shirt. Share With Others! 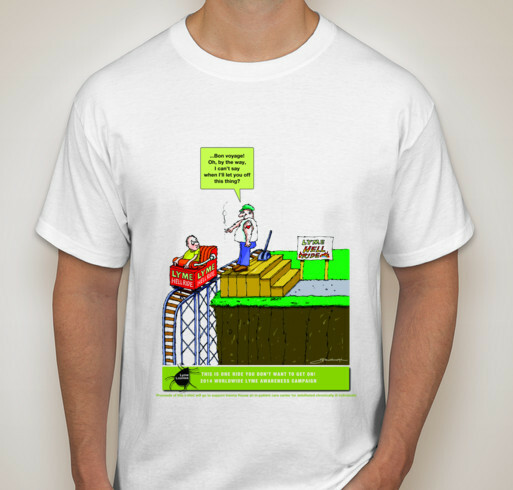 Wear these shirts during the 2014 Lyme Disease Awareness Month of May to help educate others and show that there is a need for change. We ask for: Recognition, Treatment, Research, Prevention, Advocacy and A Chance to Heal! Help us reach our goal of selling 100 shirts of each design. Share with friends, family, supporters and anyone else you can think of.